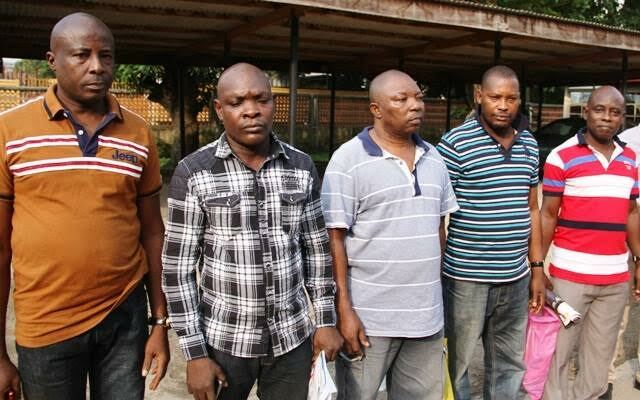 The Economic and Financial Crimes Commission, EFCC, has arraigned 10 persons and a vessel, MV Peace for their alleged involvement in illegal oil bunkering before Justice Muhammad B. Idris of the Federal High Court, Lagos on a three count charge bordering on conspiracy and illegal dealing in petroleum products. 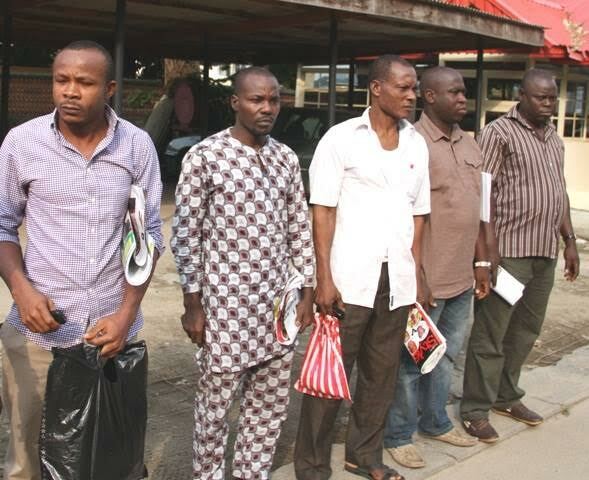 MV Peace and its crew members - James Abatan, Wasiu Abdul Owonikoko, Patrick Ameh, Johnson Ademola, Felix Otto, Chigozie Oguike, Olu Salisu, Jomo Gadagbe, Kunle Oba Saheed and Rasheed Adio were intercepted about five nautical miles off Lagos Fairway Buoy by the Nigerian Navy Ship Ikot-Abasi on the 4th of April 2015 on suspicion of illegal dealing in petroleum products. 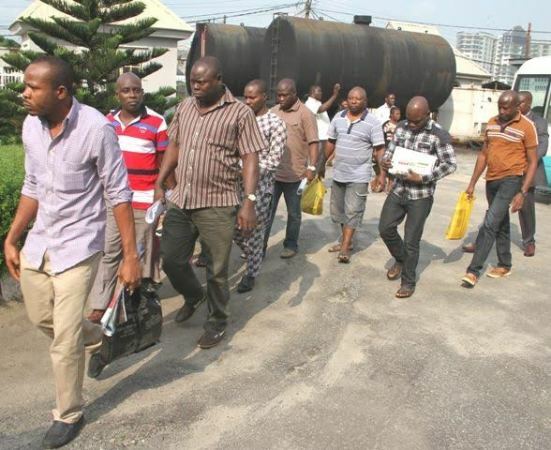 “MV Peace, James Abatan, Wasiu Abdul Owonikoko, Patrick Amen, Johnson Ademola, Felix Otto, Chigozie Oguike, Olu Salisu, Jomo Gadagbe, Kunle Oba Saheed and Rasheed Adio on or about the 4th day of April, 2015 in Lagos within the jurisdiction of the Federal High Court without appropriate licence dealt with 200 Metric Tons of Petroleum product and thereby committed an offence punishable under Section (1) (17) of the Miscellaneous Offences Act, Cap M17, Law of the Federation of Nigeria 2004.” The accused persons pleaded not guilty to the charge when read to them. 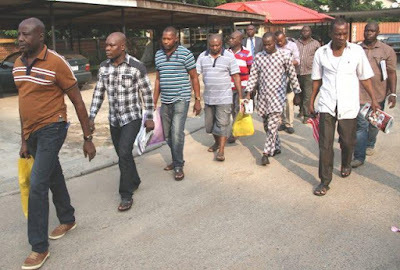 In view of the plea of the accused, the prosecution counsel, Rotimi Oyedepo prayed the court for a trial date and to remand the accused in prison custody. However, counsel to all accused persons, Dada Awosika said he had filed an application for bail and prayed the court for a short adjournment for hearing. Justice Idris ordered that the accused persons be remanded in Ikoyi prison and adjourned the case to Monday 27 July, 2015 for hearing on the bail application.